Need some help. I’m going to try and keep it short while noting all the important things. So recently got my evo back from having a built motor swapped in. Tuner had the car. I drove to tuner and we put it on dyno. Car was turned on / off several times throughout the day while on dyno and it never gave an issue. Car made good power so good... I go home. (2 hour drive). Got back into town and stopped at a gas station. Filled it up, then drove home. Got into my driveway and cut it off for a second. 5 minutes later - tried to crank it and it’s dead. Doesn’t even click. So I jump it off to pull it in the garage. It jumps fine and stays on - doesn’t die. So now it’s in my garage and before I throw another new battery at it I need to figure out what’s causing this. and all of those items have been installed for a long time with no issues. I don’t think it’s the alternator because when I jump the car off it runs fine and doesn’t die. car is an 06 Evo 9 with about 60k miles. Charge it up with wall charger. Connect back except use amp meter in series wth chassis ground to see if you have something drawing power when ignition is off. If not, keep meter with you to check again when you shut off each time. If nothing is drawing power, then stop by AutoZone to load test your alternator. Maybe your alternator has a bad diode or 2 preventing it from charging your battery. I agree w/Don. Very unlikely the battery is faulty. Sounds like a battery chassis grounding issue to me. Last edited by MinusPrevious; Sep 30, 2018 at 05:28 AM. Well took the battery to autozone and had it tested and they said it’s bad. Was thinking it was possibly a chassis ground issue? Was thinking it was a chassis ground issue? i mean, I inspected all the engine bay chassis grounding points and they visually look good/connected. 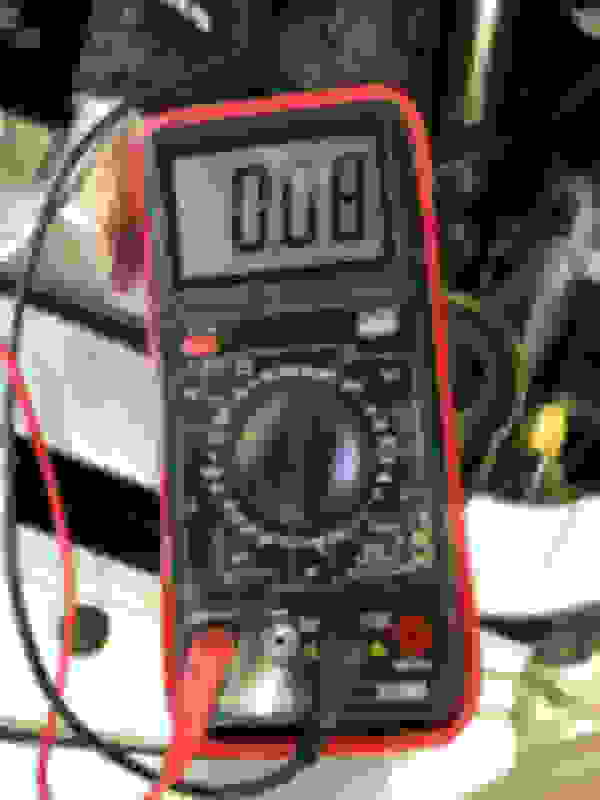 with an amp meter, connect in series by removing your battery ground off of battery. Connect one wire to battery negative terminal and the other to chassis cable. Make sure you use the fused 10A connections in your meter. It ahould only be drawing a tiny amount to keep the memories in your radio, clock, etc. If you are seeing 1A draw or more, you need to find the source by pulling fuses one at a time. I killed two PC680s within a couple months once. First one I wrote off to being old, second one lasted a month or two. After having the battery shop tell me they wouldn't honor my warranty if I got another PC680 due to it being used in a car I was done with Odyssey. I drove my happy *** to Advance and bought a similarly sized generic AGM and haven't had a problem since (3-4 years). And the Advance guys told me they don't care at all what it's in, they'll warranty it if it goes bad. Obviously, I would troubleshoot your car first to see if you do have a drain but there are other options out there that also happen to be cheaper. I did have to cut the battery hold down post and reweld it to my tray, but worth it IMO. Alright guys let me tell you the test I did today. Lmk what ya think. so with that that, I don’t think that’s significant enough of a draw to do what it’s been doing? so maybe I actually did have a bad battery? 80 mA is within range (on the high end). So next step is to pay attention to what stays on after you shut off your engine. Light somewhere? Fuel pump? Radiator fan? Etc. when you say “within range” you’re saying within the “acceptable” range right? And ill I’ll try and pay attention but nothing to my knowledge stays on after shutting the car off that I can tell. But I’ll pay more attention next time after shutting it off. Correct. Car needs a little power to hold memory settings. Only things I can think of are clock, radio, and ECU. You could have an alarm system drawing some too that adds up to 80mA. It is a bit on high draw since our cars are not luxurious with all the tech gadgets. But no way 80mA will completely discharge in 30 minutes, so I'm thinking something isn't shutting off when your engine is turn off. is 80mA worth trying to find a draw since it’s within range? That's your call (a lot of work to find maybe 20mA draw device you weren't expecting). Lol. You can pull the radio fuse to see what's the remaining draw. Then disconnect your ECU next to see what's left. If you have an alarm, pull that fuse next and that is all the draw expected. If you have draw still, start pulling 1 by 1 to track down the small drain. Last edited by 2006EvoIXer; Oct 16, 2018 at 11:23 AM. The other thing you can do is check the battery voltage each time you shut off engine. It should slowly drop from 12.7ish. When you find it 12.0V right after turning off your engine (and dropping quickly), try to find the draw by listening to things still running. If no luck, then immediately pull the ground after turning off your engine and check voltage to see if you get the same quick drop. If you do, then it's the battery (again).